The Okinawa Cellular Telephone Company has selected NEC to design, engineer, supply, install, test and implement an optical submarine cable system connecting Okinawa Prefecture and Kagoshima Prefecture in Japan. The subsea cable will span a total length of approximately 760 km at a maximum depth of approximately 1,200 m. The cable system employs the latest optical wavelength multiplex transmission method, and the maximum design transmission capacity is 80 Tbps. The system is expected to enter service in April 2020. 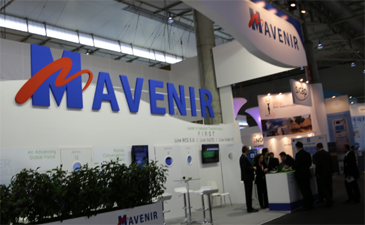 Rakuten, which is preparing to launch Japan’s newest mobile network, selected Mavenir for. 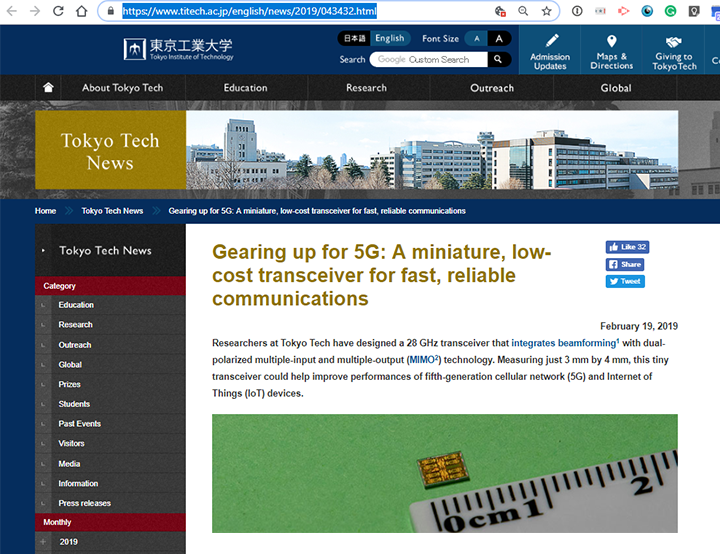 Researchers at Tokyo Institute of Technology have developed a 28 GHz transceiver that integrates beamforming with dual-polarized multiple-input and multiple-output (MIMO) technology. Preliminary testing showed that the maximum data rate achieved was 15 Gbps using 64-QAM. 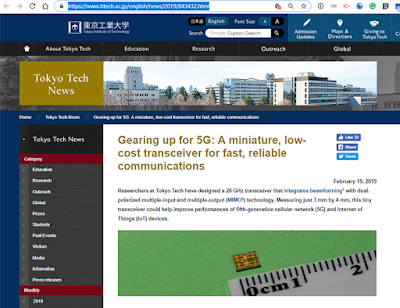 The transceiver measures just 3 mm by 4 mm and could help improve performances of 5G and Internet of Things (IoT) devices. "Compared with the conventional switch-based bi-directional approach, our bi-directional amplifier completely shares the inter-stage matching networks between the transceiver and the receiver. Thus, the required on-chip area is further minimized," states Kenichi Okada at Tokyo Tech's Department of Electrical and Electronic Engineering. Researchers at Tokyo Institute of Technology, Ricoh co. and Japan's National Institute of Advanced Industrial Science and Technology have developed an ultra-low-power atomic clock (ULPAC) for small satellites. The fully functional atomic clock consumes an order of magnitude less power than that of previously reported devices. It also excels in two other critical aspects: volume occupied and Allan deviation, which is a measure of the stability of the frequency of a clock. A leading Japanese service provider and affiliate of Power Nets Japan (PNJ) has selected Infinera’s mTera Universal Transport Platform to scale its metro network infrastructure. The Infinera mTera will be deployed to support high-capacity interconnect between core data center sites in one of Japan’s major metropolitan areas. At the same time, the highly flexible solution will create a more efficient means of delivering local and regional end-user services, including data center interconnect, private cloud, and high-speed internet access. 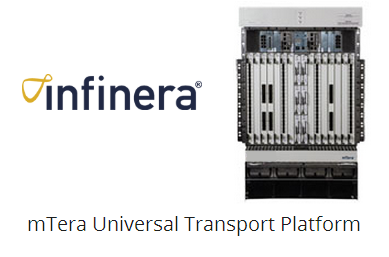 The Infinera mTera offers the utilities-based service provider a flexible multiservice transport solution that supports software-defined Universal Switching, including Optical Transport Network (OTN), Carrier Ethernet, MPLS-TP, and SONET/SDH in a single, power-efficient system architecture, with the option of an integrated DWDM layer based on reconfigurable optical add-drop multiplexer (ROADM)-on-a-blade technology. 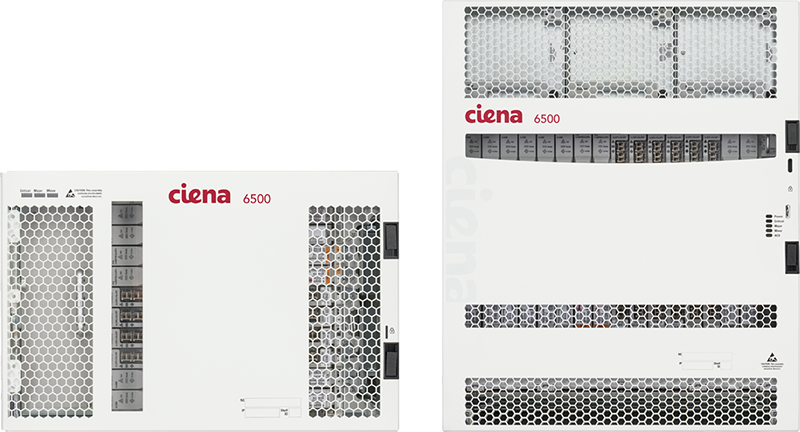 The ultra-compact, power-efficient mTera offers 7 Tbps of universal switching capacity per shelf with up to 12 Tbps of total switching capacity per rack. Infinera teamed with NEC Networks and System Integration Corporation (NESIC) on the project. The Japanese government adopted a policy to exclude products from Huawei and ZTE from public procurement contracts on national security grouds, according to Kyodo News service. 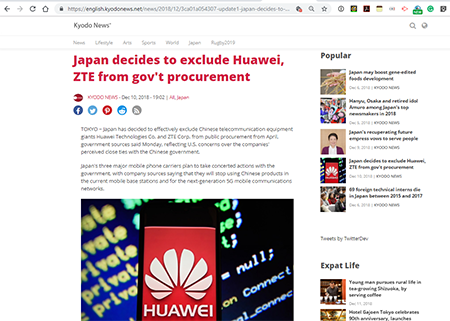 The government is also discouraging Japanese telecommunications firms from using Chinese products. This includes 4G and 5G infrastructure products. NTT Docomo is not known to use gear from either Huawei or ZTE. The same is true of KDDI. Softbank uses Huawei infrastructure in its 4G network and may be required to replace this gear over time. QTnet, a communications service provider in Kyushu, Japan, has selected Ciena’s 6500 Packet-Optical Platform to support growing demand for telecommunications services. QTnet offers fiber optic cable, internet, video and broadband telecommunications services to hundreds of thousands of households and enterprises and local governments. Ciena said its 6500 Packet-Optical Platform powered by WaveLogic Ai programmable coherent optics will enable QTnet to increase capacity up to 400 Gbps per wavelength across its upgraded flexible grid network. In addition, the 6500’s flexible grid with a colorless, directionless, contentionless (CDC) photonic layer and Layer 0 control plane for self-healing capabilities will future-proof the network for new technologies. “This deployment is yet another example of our continued success in the Asia-Pacific region. With an adaptive and resilient optical network powered by our WaveLogic Ai, QTnet can increase its network capacity and assess the demands being placed on its network in real time. With this additional network insight, QTnet will also be able to dynamically adjust capacity to meet customer demands,” stated Hiroyuki Kume, President, Ciena Communications Japan. 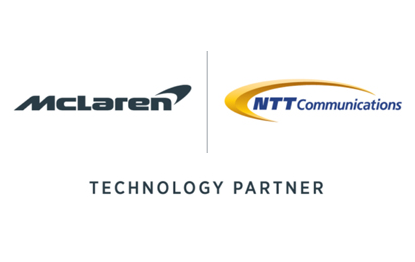 NTT Communications is delivering a software-defined-everything (SDx) connectivity on a temporary basis for the McLaren Formula 1 (F1) Team during the F1 Japanese Grand Prix 2018. The McLaren garage at Suzuka Circuit will have high-speed, route-optimized connection to the cloud. In addition, the NFV infrastructure and uCPE will benefit from high-speed connection to a multi-cloud, including NTT Com's Enterprise Cloud, a hybrid cloud environment supporting traditional and cloud-native ICT for highly secure and stable operations with designed-in flexibility and agility. NTT Com said its "Suzuka Special" network will speed up trackside communication for faster, more flexible in-race strategizing, including cloud-based telemetry data analysis, a key to successful F1 racing. The network will be deployed at Suzuka Circuit, Japan and the McLaren Technology Centre in Woking, UK as well as in the team's cloud infrastructure network in Europe. The new NFV infrastructure will comprise a software-defined wide area network (SD-WAN), WAN accelerator, unified threat management (UTM) and web proxy. NTT Com will deploy universal customer premises equipment (uCPE) at both Suzuka Circuit and the McLaren Technology Centre by utilizing a white-box CPE base, which will facilitate flexible installation of required software. NFV infrastructure, namely UTM, web proxy and uCPE, including SD-WAN and WAN accelerator software installed in the white-box CPE, will be used to establish an Internet gateway and SD-WAN at the F1 race track for an extra-fast network for solving network latency. Renesas Electronics Corporation agreed to acquire Intersil for US$22.50 per share in cash, representing an aggregate equity value of approximately US$3.2 billion (approximately 321.9 billion yen at an exchange rate of 100 yen to the dollar). 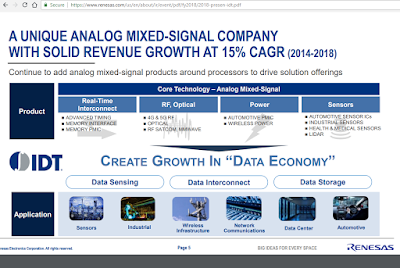 Renesas supplies microcontroller (MCU) and system-on-chip (SoC) products and technologies. Intersil specializes in power management and precision analog capabilities. The acquisition is also expected to expand Renesas’ product portfolio, particularly for analog devices, where the market is expected to increase by approximately US$3.9 billion by 2020. Integrated Device Technology (IDT) of San Jose, California and GigPeak, a supplier of semiconductor ICs and software for high-speed connectivity and video compression over the network and in the cloud, announced that they have signed a definitive agreement for IDT to acquire GigPeak for $3.08 per share, or approximately $250 million, in cash, representing a premium of approximately 22% to GigPeak's closing share price on February 10th. Under the terms of the merger agreement, IDT will launch a tender offer to acquire all of the issued and outstanding common stock of GigPeak for $3.08 per share. The boards of directors of both companies have unanimously approved the terms of the agreement and the GigPeak board has resolved to recommend that stockholders accept the offer. 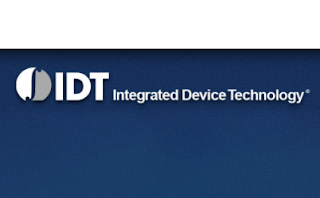 The combination of IDT and GigPeak is projected to add approximately $16 million of quarterly revenue at a 70% non-GAAP gross margin and to be accretive to earnings in first full quarter following closing of the transaction. NTT DOCOMO has commenced a proof-of-concept (PoC) video IoT solution that will enable the interpretation and analysis of video data sourced from surveillance cameras using edge computing. DOCOMO will test the effectiveness of using edge computing to interpret and analyze video data. 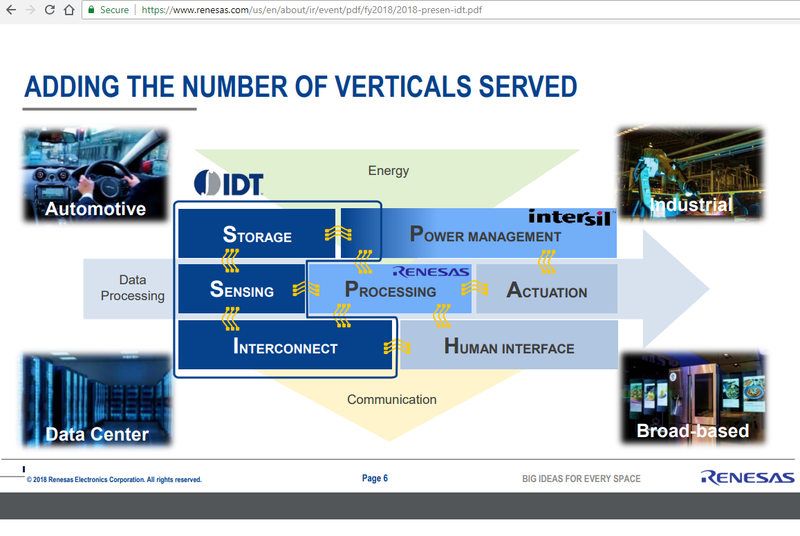 The edge computing will supplement processing performed in the cloud. As a first step, the PoC will test and evaluate the sourcing of data from surveillance cameras, aiming to develop a solution that uses existing cameras, requires no wired connectivity and does not involve the transmission of large quantities of data. DOCOMO also confirmed a strategic investment in Cloudian, a Silicon Valley-based leader in enterprise object storage systems and developer of the Cloudian AI Box, a compact, high-speed AI data processing device equipped with camera connectivity and LTE / Wi-Fi capabilities, facilitating edge AI computing with both indoor and outdoor communications. DOCOMO said the transfer and processing of large volumes of video data to the cloud have been a lengthy process involving significant delays and placing a considerable burden on cloud infrastructure and communication networks. Edge computing could help deal with these shortcomings and herald a new era of high-speed image recognition. Cloudian, a start-up offering a hyperscale data fabric for enterprises, raised $94 million in a Series E funding, bringing the company’s total funding to $173 million. The funding round included participation from investors Digital Alpha, Eight Roads Ventures, Goldman Sachs, INCJ, JPIC (Japan Post Investment Corporation), NTT DOCOMO Ventures, Inc. and WS (Wilson Sonsini) Investments. Cloudian, a start-up based in San Mateo, California, is extending its hybrid cloud object storage system into Microsoft Azure. 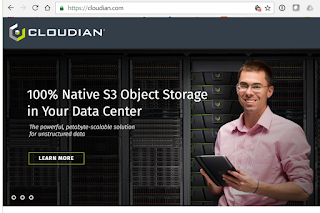 Cloudian HyperCloud for Microsoft Azure leverages the company's S3 API interface to Azure Blob Storage. Cloudian said the world's largest Industrial Internet enterprise is using Cloudian HyperCloud for Azure to connect its Industrial Internet of Things solution to Azure Blob Storage. A major Japanese mobile carrier has selected the A10 Thunder Convergent Firewall (CFW) Gi/SGi firewall solution for a 5G pilot network, to complement the massive capacity demands of their existing mobile network and help lay the foundation for the mobile carrier’s 5G production network, expected to become commercially available beginning in 2020. Financial terms were not disclosed. The Japanese carrier has previously deployed A10's solutions to deliver a variety of security and networking services, such as application delivery, IPv4 preservation/IPv6 migration technologies, DDoS protection and Threat Intelligence. A10 said its expanded relationship with this customer includes the Thunder CFW Gi/SGi firewall 5G-GiLANTM solution to scale and secure its GiLAN, and which will serve as the backbone network for data communication services of the carrier’s 5G network. "We continue to work very closely with global carriers to enable them to lead the way with their 5G rollouts. This is demonstrating our trusted partnership and continued leadership to help carriers accelerate network transformation to 5G," said Lee Chen, CEO of A10 Networks. 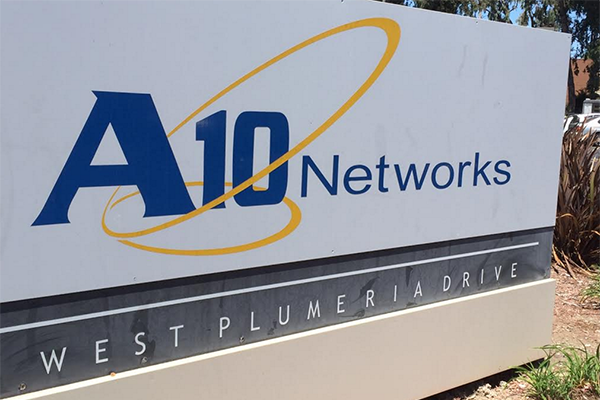 “The A10 Thunder CFW provides service providers with a highly scalable, consolidated and secure 5G-GiLAN solution for a comprehensive network defense, with automation for improved business agility, faster network rollout and overall reduction of TCO." NTT DOCOMO confirmed it new leadership team, with Kazuhiro Yoshizawa continuing in his roles as president, CEO, and Member of the Board of Directors. Hiroyasu Asami continues to lead the technical team in his roles as Chief Information Officer, Chief Information Security Officer, Chief Privacy Officer, and Member of the Board of Directors. Hiroshi Tsujigami serves as Executive General Manager of Sales and Marketing Division, responsible for global business. Kouji Furukawa serves as Executive General Manager of Corporate Sales and Marketing Division. Hiroshi Nakamura is Executive General Manager of the R&D Innovation Division. Hozumi Tamura is Executive General Manager of Network Division and General Manager of the Network Department. SoftBank is using machine-learning software developed by Ericsson for advanced radio network design in the Tokai region. The service groups cells in clusters and takes statistics from cell overlapping and potential to use carrier aggregation between cells into account, thus reducing operational expenditure and improving network performance. The machine learning evaluates cell coverage overlap, signal strength and receive diversity. Big data analytics was applied to a cluster of 2000 radio cells and data was analyzed for the optimal configuration. Ericsson’s centralized and elastic radio access network design is sold as a service and supports LTE networks. 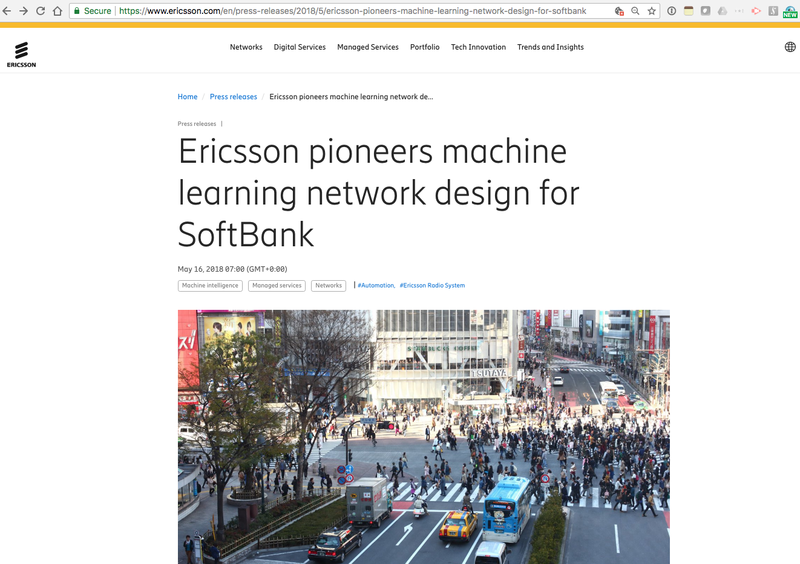 Ericsson says that compared to traditional network design methods, the ML approach cuts the lead time by 40 percent.